I shudder to think what the Russian response to this might be. *cough* Yeah, right. Deny, deny, deny. ‘These are good lads. 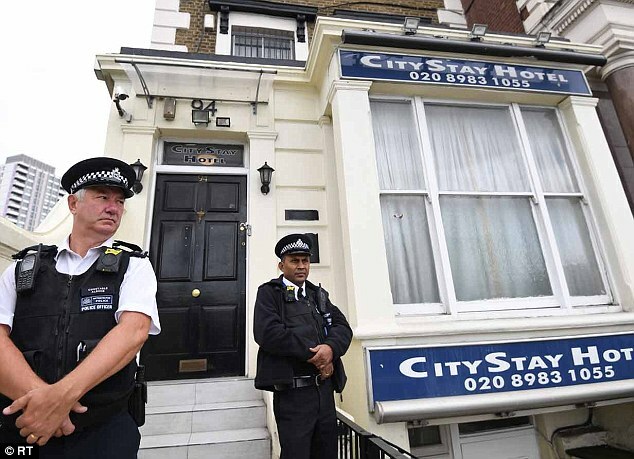 They don’t use illegal drugs in Russia, so why in the UK?’ ‘They didn’t hire a prostitute’. Is that because the Russian media is saying they’re gay? If Maria Zakharova, Sergei Lavrov, or Vladimir Putin respond in any way, that is almost a public confession of their status in the GRU. If Margarita Simonyan responds, it invalidates her already disgraced interview. Guests of the hotel complained to the front desk, so there is a record of their misbehavior. Oh, the agony joy of watching a Russian cover story fall apart publicly. Russia is being publicly ridiculed, shamed, and embarrassed. There are also no records of either Petrov or Boshirov having a passport before 2009. This has convinced security experts that Petrov and Boshirov were merely cover identities created by Russia’s GRU military intelligence service for use on foreign operations. Security sources have told The Mail on Sunday that Scotland Yard and MI6 are sitting on a huge amount of further evidence linking Petrov and Boshirov to the attempt to kill former spy Skripal. They say this evidence will only be produced if the two Russian agents are brought to trial. They have been charged with conspiracy to murder the Skripals and Detective Sergeant Nick Bailey, who fell ill after rushing to the aid of the couple after they were found collapsed on March 4. Last night a Russian government spokeswoman rejected the claims and suggested that Bellingcat must have links to Western intelligence agencies. Last week Theresa May branded Petrov and Boshirov’s cover stories as ‘lies and blatant fabrication’. A passport used by one of the Kremlin assassins who attempted to poison Sergei Skripal in Salisbury directly links him to the Russian security services. Travel documents used by a Russian agent using the identity of Alexander Petrov are marked as ‘top secret’ and include a phone number for the Russian defence ministry. 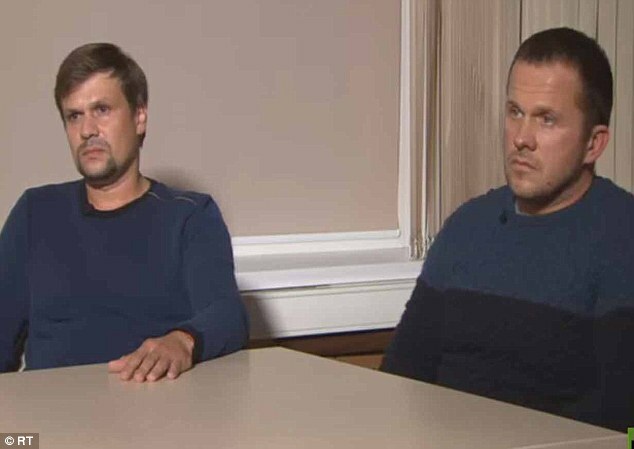 The finding by the respected investigative website Bellingcat directly contradicts Russian President Vladimir Putin’s claims that Petrov and his accomplice Ruslan Boshirov were merely civilians who travelled to Salisbury to see its cathedral and nearby Stonehenge. When the number was rung by journalists yesterday an office clerk refused to give any information about Petrov’s passports or comment on his apparent links to the Russian government. t has also emerged that Petrov and Boshirov’s passports, which were issued in 2009, provide almost no biographical data about either man before that year, such as any residential addresses. There are also no records of either Petrov or Boshirov having a passport before 2009. This has convinced security experts that Petrov and Boshirov were merely cover identities created by Russia’s GRU military intelligence service for use on foreign operations. Scotland Yard also says that these are the aliases of the hitmen who travelled to Britain on March 2 this year for their assassination mission. Security sources have told The Mail on Sunday that Scotland Yard and MI6 are sitting on a huge amount of further evidence linking Petrov and Boshirov to the attempt to kill Sergei Skripal using Novichok nerve agent. Petrov and Boshirov have been charged with conspiracy to murder Sergei and Yulia Skripal and Detective Sergeant Nick Bailey. Former Russian spy Sergei Skripal and his daughter were found collapsed on March 4; the police officer fell ill after trying to help them. Russian investigative reporter Sergei Kanev, who worked with Bellingcat, said that ‘normal people’ did not get their passports at the Russian defence ministry, ‘only people who often work undercover, including the intelligence services’. Last night a Russian government spokeswoman rejected the claims and suggested that the website must have links to Western intelligence agencies because its information about Petrov and Boshirov’s passports had come from a database which was not publicly available. 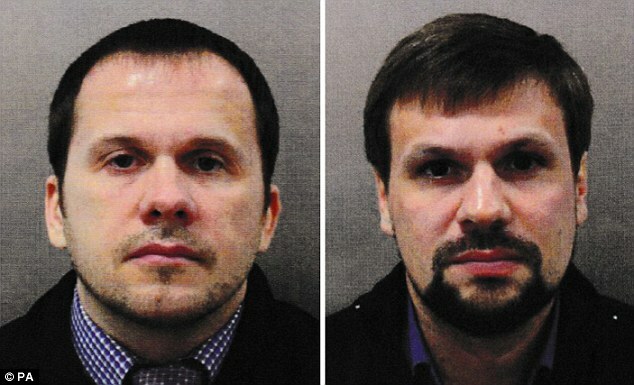 In an interview with the Kremlin-backed TV station Russia Today last week, Petrov and Boshirov claimed these were their real names and that they had planned their two-day excursion to Salisbury long in advance. But now it has emerged that the pair actually booked their tickets on the Russian airline Aeroflot on March 1, the night before their short trip to London and Salisbury. 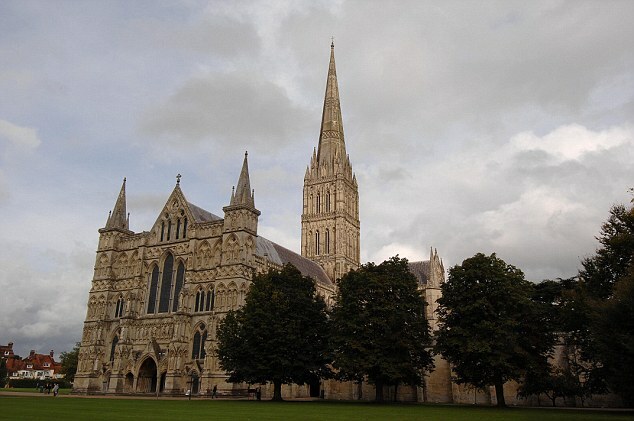 The Mail on Sunday also understands they used cash rather than credit or debit cards while in the UK, including when they paid for return rail tickets from London to Salisbury on March 2 and March 3. Prime Minister Theresa May has branded Petrov and Boshirov’s cover stories as ‘lies and blatant fabrication’.